First Flight cover, Reg. No. 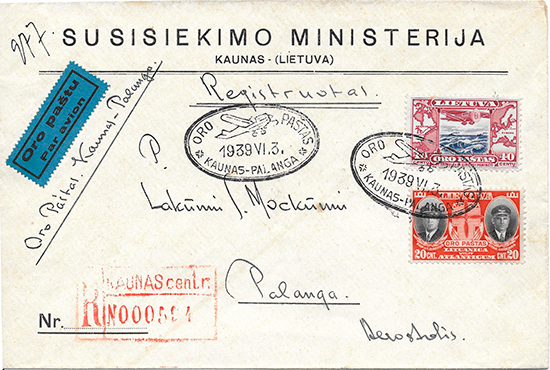 594, addressed to the pilot Simonas Mickūnas, using a letterhead envelope of the Ministry of Communications.